Have you noticed that Valentine’s Day seems to be a bigger deal for elementary schoolers than adults sometimes? Every year kids bring in personalized valentines for each member of their class. As adorable as the tradition is, it can be hard to make those valentines stand out. Here is our take on a unique, kid-friendly valentine that is just as fun to craft as it is to give! 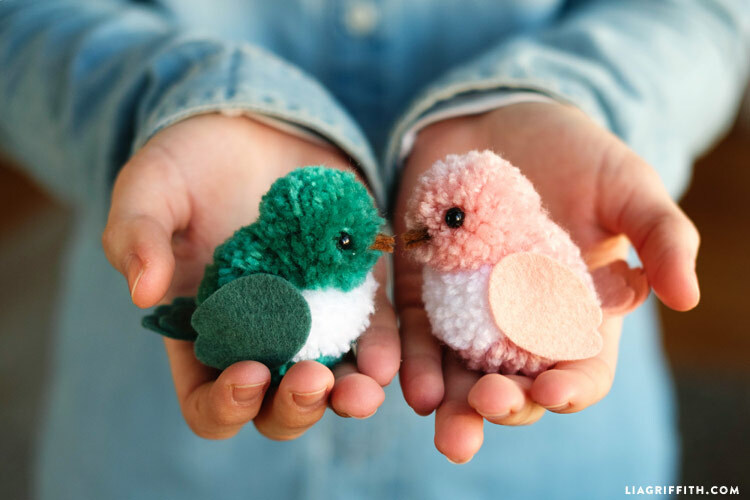 Craft up some loving yarn birds using various pom pom sizes for an afternoon of simple and safe DIY fun with your little ones. Gather your materials and print the PDF template below. Cut out each piece of the template as a guide for cutting the felt beak, wings and tail. Use your pom pom makers to create two poms, one slightly larger than the other. 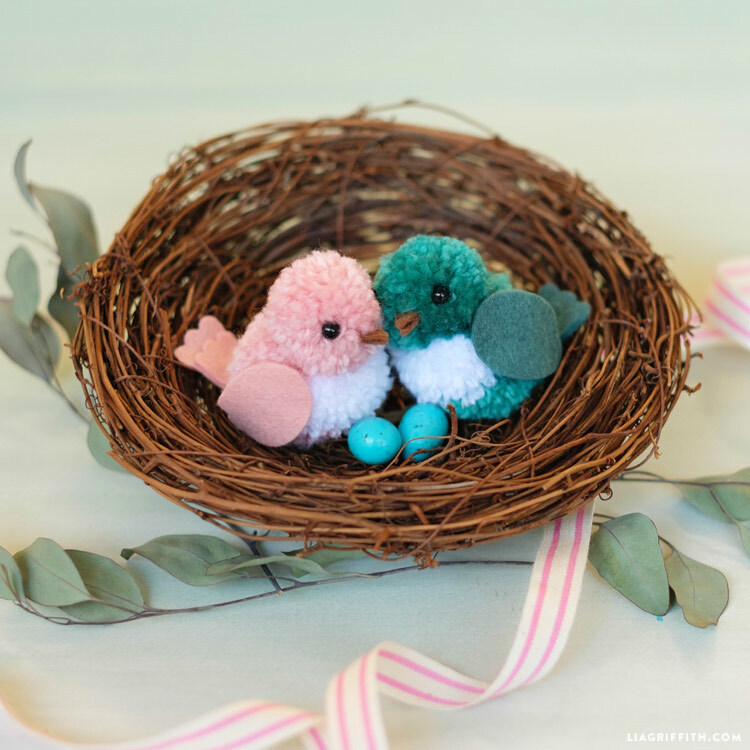 To give the love birds a white belly, fill one-quarter of the pom pom maker with white yarn. Trim poms poms to create even, fluffy circles. 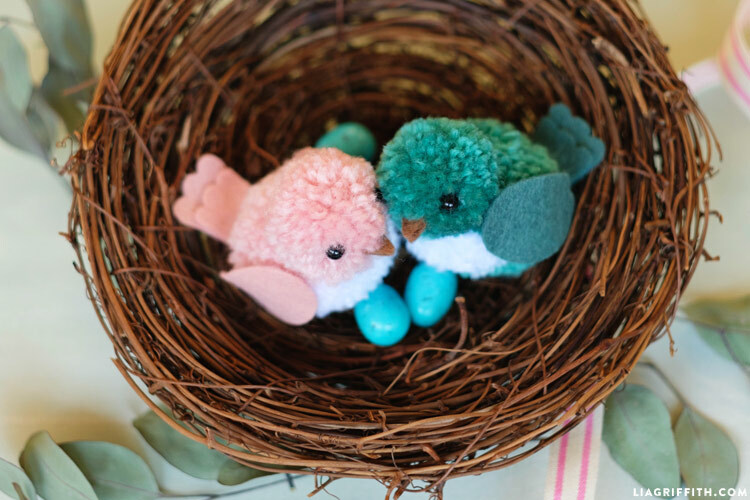 Leave the tail of yarn if you would like to turn these yarn birds into ornaments! 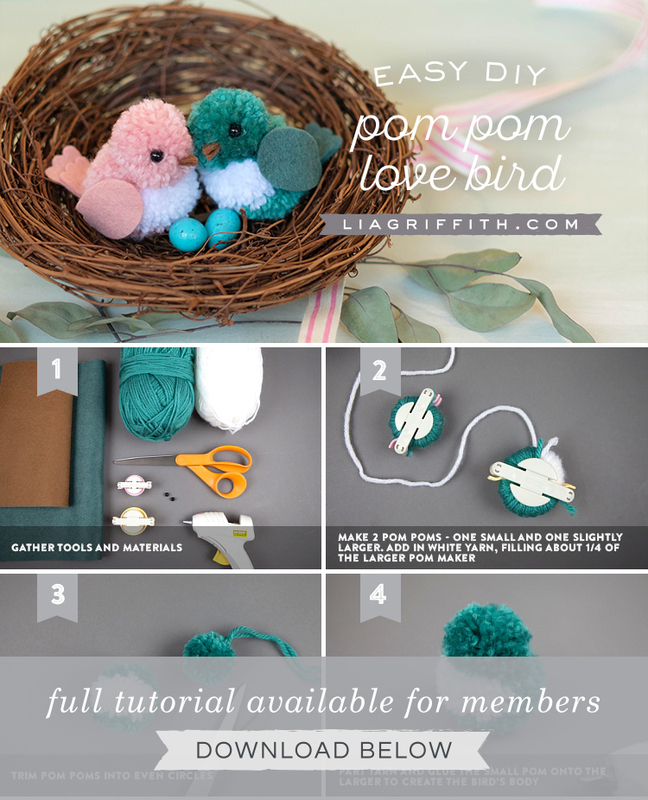 The most important tool for making yarn birds is a pom pom maker. 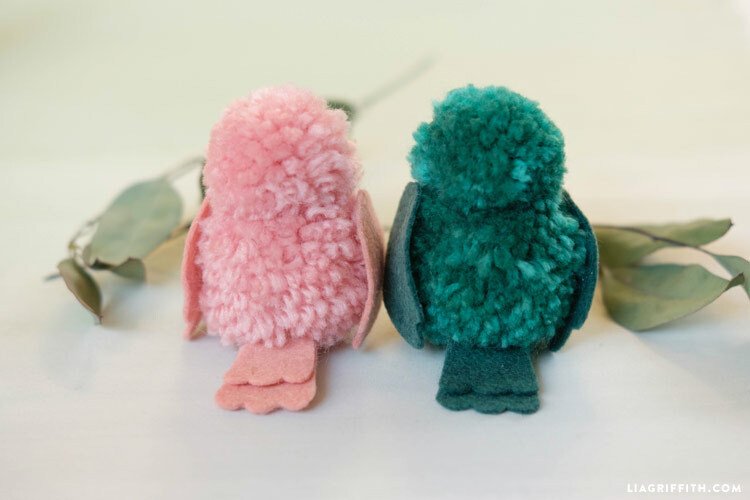 We used Clover pom pom makers in Small (link in Shop this Project), but of course you can make love birds in any size. Pom pom makers come in packs with two slightly different sizes, so you can use the smaller size for the head and the larger size for the body. There are lots of different types of yarn, but we used a basic acrylic yarn for our pom poms. The acrylic yarn has a fluffier appearance and is better for kid’s crafts because of its affordability. Win-win! Feel free to get creative with your color selection. 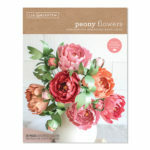 If you need some help venturing into the world of pom pom making, you can reference our original pom pom post with a photo tutorial. 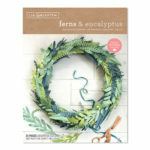 As far as felt goes, some of our favorite felt sources are Benzie Design, A Child’s Dream Come True and Felt on the Fly. 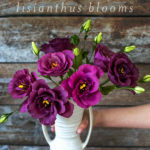 Love these Lia! These are so adorable and fun! My whole family loves them! These are the cutest! 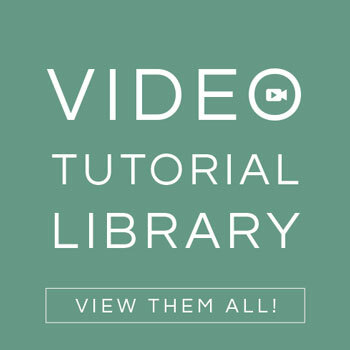 Such a great tutorial, thank you for sharing! 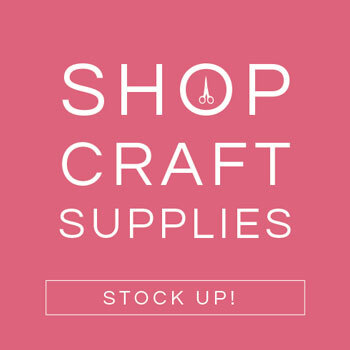 Actually I’m wondering if I may share one of your pictures in the Easter arts and crafts compilation blog post I’m putting together in april? I will credit you with a link to this post of course! Yes that’s just fine if you credit back 🙂 Thank you! I love them to bits. I can’t wait to make tem for my nephews & nieces.. These little birds are the cutest.. very adorable… Thank you!! Lol … OMG ! These put a smile on my face – beyond adorable ! When and where do you add the white yarn? 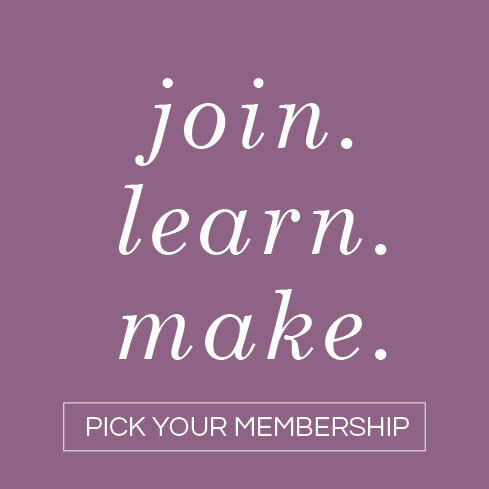 …first or last when making the pom pom? When making your pom pom you can add it in before or after the colored yarn, as long as you fill in at least 1/4 of the circle with the white. They’re so easy and fun!